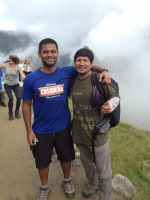 The hike to Machu Picchu through inca trail reservations was extremely rewarding. Although physically challenging, it was a great experience. The food was amazing, guides were nice, and the other people in the group were very friendly. 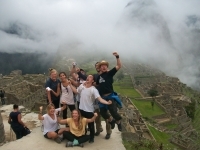 The aches and pains that were endured during the hike, were immediately forgotten by the majesty of Machu Picchu! The four day trek was just right for us. We ended up with a wonderful guide named Ernan. He was professional and familiar with the trail. Most of all he was very caring. We were the slowest of the entire group and Ernan always made sure we were okay. We decided in August that we wanted to do Peru, Andes and the Inka Trail. After a quick research we decided that your reservation, web page and way of paying was very easy, trustable and we send a suggestion. Ruth gave us a quick response and orientation about opportunities and process, date of registrations. Machu Picchu – An Adventure of a lifetime! 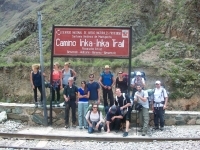 Thank you to Inca Trail Reservations for an amazing experience and for helping me to conquer a personal challenge! I highly recommend the inca trail, four days and three nights to machu pichu. it was a very rewarding experience. The hike was enduring. Day two was the most difficult as it was all up hill. The weather ranges from very hot to very cold where you will bare sunburn, major rain falls and also hail.